This post should have gone up during March Madness, but even if the NCAA tournament is over this weekend, the NBA has few months to run. And we have new basketball books, from the history of the game to the joy of playing! H.O.R.S.E. 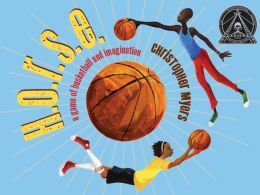 : A Game of Basketball and Imagination, by Christopher Meyer. Edgemont, 2012, 32 pages. Age/interest level: 4-6. Two kids meet on an urban basketball court: Hey, you want to play a game of ‘Horse’? Horse or Ghost, it’s the same game: one player calls and makes a shot and the other has to match it, or he gets a letter. Spell ‘Horse” and it’s “Giddy-up, you’re out. As soon as rules are set the two begin cheerfully insulting each other, then one-upping each other: Didn’t know I could go left, did you? / You’re probably a specialist in left . . . left aside, left behind, left out! The shots they call become more and more outlandish until they’re sailing far out into the atmosphere and circling the planet: I’m going to bounce the ball off that water fountain, off the third cloud (the one that’s shaped like a Cadillac), off the Moon . . . Christopher Meyer has mostly worked in illustration but here he does both. His bright-colored, fluid figures effortlessly pick up the rhythm of the streets during long summer days with not much to do but toss balls and stretch imagination as far as it will go. Hoop Genius: How a Desperate Teacher and a Rowdy Gym Class Invented Basketball, by John Coy, illustrated by Joe Morse. Carolrhoda, 2013, 54 pages. Age/interest level: 6-10. 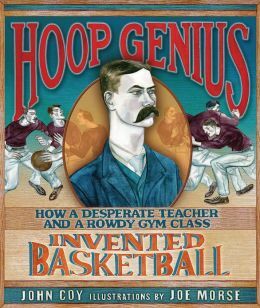 In December of 1891, James Naismith, a young teacher, took over a gym class that had already forced two teachers to quit. Bored with jumping jacks and too physical for indoor football, the high-spirited young men at the YMCA might have put each other in the hospital if Naismith hadn’t stayed up late one night thinking up a new game. He based on it a rough-and-ready childhood pastime called Duck on a Rock, which depended more on skill than brute force. Next day, he grabbed a soccer ball and asked the building superintendent for two boxes. No boxes were available, but the super offered a couple of peach baskets . . . and the rest is history. This entertaining picture book creates a period atmosphere with its sepia-toned, turn-of-the-century mustaches, stiff collars and dungarees. The facial expressions are priceless—and be sure to catch an equally priceless artifact on the endpapers: the original typed rules of “Basket Ball,” with annotations in Naismith’s handwriting. 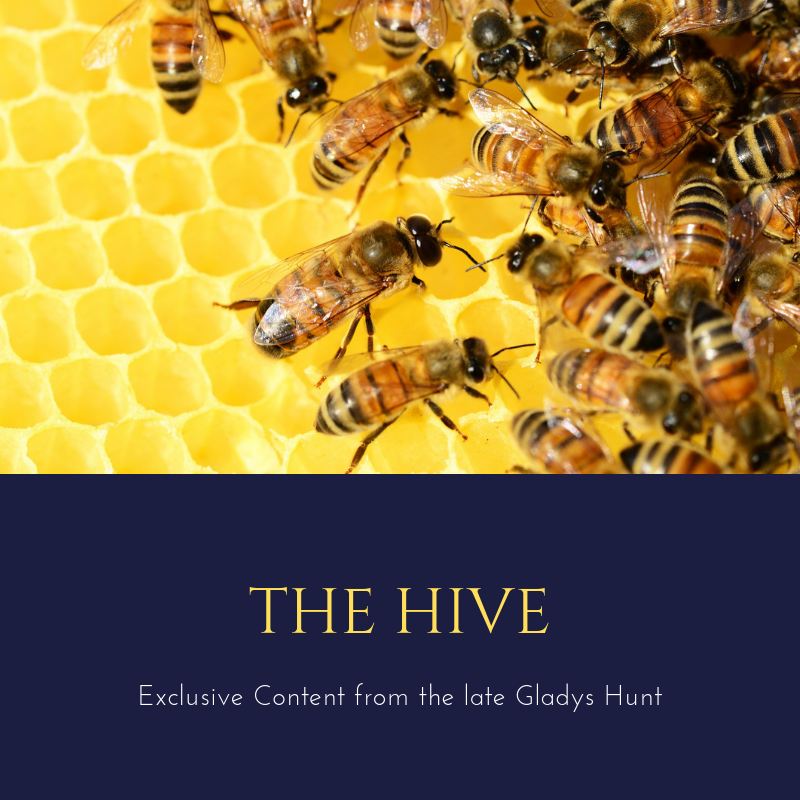 My one caveat is that the subject matter is likely to interest older kids more than the usual picture-book crowd, and they would probably like a little more information. This book might inspire them to look it up, though. 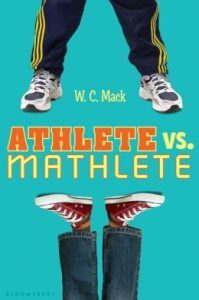 Athlete vs. Mathlete, by W. C. Mach. Bloomsbury, 2013, 198 pages. Age/interest level: 9-13. Owen and Russell are twins, but couldn’t be less alike; not only in appearance but also in ability, temperament and interests. Owen is the athlete: quick, muscular, with great moves and a short fuse. Russell is brilliant, mathematical, laid back—and tall. The tallness catches the new coach’s eye at the beginning of the school year, and before you know it, Russell is trying out for the team, even though he doesn’t have enough coordination to slap a high five. He already has enough on his mind as leader of the academic team, which is losing a key member. But wouldn’t you know—he’s a natural block. Owen’s solicitude for his nerdy brother becomes dismay when he’s overshadowed by that same brother, especially after Russell reveals another unsuspected talent for jump shots. The Cinderella aspect (likeable geek becomes brilliant b-ball player) stretches belief, as does the stereotyped snotty rich kid who tries to take over Russell’s academic team. Also, switching back and forth between the two brothers’ points of view can be a little confusing, but that just means a player—er, reader—has to keep on his toes. Otherwise the story moves along with believable tension building between the brothers, who love each other but have issues with turf invasion. I like their intact family life, especially their dad, who’s not only involved but ready with a word of wisdom when needed. Their faith is in family, and family is not enough—still it’s nice to see “family values” reinforced on the basketball court. Note: Owen and Russell will appear again in Double Dribble, available this November. 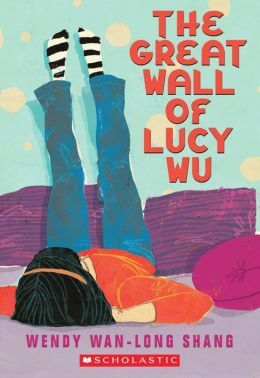 The Great Wall of Lucy Wu, by Wendy Wan-Long Shang. Scholastic, 2011, 312 pages. Age/interest level: 9-13. Lucy Wu is a typical sixth grader, with a perfect older sister, clueless little brother, nice parents who don’t always get her. She’s looking forward to a stellar school year headlined by basketball—her passion—when out of the blue comes dire news. Her father has recently made contact with a relative in China they didn’t know existed: her late grandmother’s sister. Great-aunt Li Po is coming for a visit—for four months! And will have to share Lucy’s room. When the ancient relative arrives she seems impossibly alien: Her hair looked like short gray wire and her entire outfit was made of navy clue padded cotton . . . like a tumbling mat with hair. Lucy “welcomes” her by rearranging the furniture in her room to make a wall—her own Great Wall, delineating her life and treasures from unwelcome invasion. Even after two years, there were times when my grandmother’s death felt like a fresh cut. I missed her so much. If I could, I would have told Yi Po I felt the same, but all I had were clunky nouns and adjectives, and everyday phrases. Red cup! Big desk! Let’s eat! I needed the small, delicate words that said: I know how you feel. I miss her too. She was special. She was irreplaceable. Not exactly a sports novel, but basketball forms a major narrative thread, spinning off a subplot involving a mean girl and building up to the big student/faculty game. I won’t tell you who wins, because getting there is at least half the fun. Play Makers, by Mike Lupica. Scholastic, 2013, 201 pages. Age/interest level: 10-14. This is title #2 in a four-volume series that follows four middle-school friends (the Core Four) through athletic seasons. Game Changers ended with a football game for the record books, but now it’s basketball season, and protagonist Ben McBain is learning new meanings of the word competition. Not only does Chase Braggs, star player on the rival school’s team, threaten Ben’s moves on the court, but he quickly becomes a rival for the affections of Ben’s best friend Lily. (Not girlfriend, or not yet.) Rivalry coupled with jealousy is a dangerous combination. This is Lupica’s twelfth sports novel for kids (see Million Dollar Throw) and shares some basic Lupica elements: band of brothers, female best friend, sportsmanship challenges. But above all, the game. As a sports reporter for the New York Daily News and ESPN, he knows the plays and strategies, agonies and thrills. Human drama seems more interesting for him as a backdrop for sports, rather than the sport as a metaphor for human life. He doesn’t have much of an ear for how middle-school students really talk (they all sound like teens in a 1980s after-school special) and the plotlines are a little too pat. The upside, for a sports fan, is plenty of on-the-court action. And parents can appreciate clean, straightforward storytelling where sportsmanship triumphs and character matters. I’m going to have to check out that twins book, Janie! My boys share the same DNA but are QUITE different…. Hope you enjoyed Lucy Wu! Next PostPoetry Contest and Challenge for National Poetry Month!